Commerce is the exchange of coin for goods or services, and is the most common way to make money in Skyrim. Items are carried in your inventory, and along with gold are the basis for commerce in Skyrim. For the purposes of commerce, the most important property of an item is its worth. Every item has a base price, which is used to determine how much it is worth in transactions with merchants. Whenever a value for an item is shown on the site, it refers to the base price of that item. Merchants will adjust the amounts they buy and sell at starting from an item's base price—they will never sell items to you below the base price, and will never buy items from you above the base price. They will buy and sell at a specific factor of the base price, determined by your Speech skill, relevant Speech perks, and other enhancements such as Fortify Persuasion and Fortify Barter. The price at which certain quest givers will buy firewood, ore, and crops. 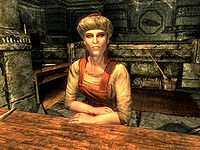 Merchants are specialized NPCs in Skyrim that buy and sell goods with you. There are different types of merchant, such as blacksmiths, apothecaries, or general goods, and each will only buy and sell certain types of goods, unless you have the Merchant perk. All merchants will refuse to buy stolen items, unless that merchant is a designated fence, or you have the Fence perk and have invested in that merchant. You are also unable to sell any item marked as a quest item under any circumstances as long as that item is marked as a quest item. Merchants in Skyrim have only a limited amount of available gold at any given time. Each merchant starts with a certain base amount of gold in their inventory. Most merchants, with you having no perks and not having invested in the merchant, will have about 750 gold to barter with. However, some merchants (typically stall vendors) will have a much smaller amount of gold, averaging about 25 gold. When you buy an item the merchant gains more gold, and when you sell an item to them they lose gold. Therefore, you can never gain more gold than was in the merchant's inventory to begin with. 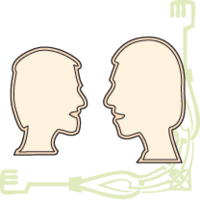 The perks Investor and Master Trader can increase the base amount of gold merchants have to barter with, allowing for greater profits. Merchants' gold is periodically reset to its base amount along with their inventory after a certain amount of time has passed in-game. Generally, you will see merchants' gold refilled if you wait for two in-game days. Alternatively, most merchants' inventories will reset if you save or autosave, force them into combat, and reload. This page was last modified on 10 February 2014, at 21:42.